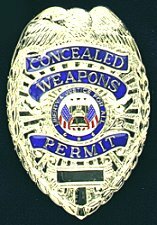 Some states require you to identify yourself as a permit holder as soon as you interact with law enforcement. The Minnesota handgun carry permit requires the holder to present the laminated permit as well as a governmental photo ID, i.e. Drivers License, if and when asked by law enforcement. The MN officer may ask you to sign your name to verify your identity. Make sure your ID and Permit Card are easily accessible without flashing your weapon when you retrieve them. Although the Minnesota law doesn't specify the means of carry, we recommend that concealed carry be preferred, for the public, and for your safety as well. By its very nature, when properly done, concealed carry will not upset other citizens or motivate a bad guy to try to steal your weapon. 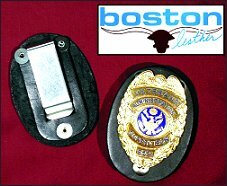 I personally feel a badge is unnecessary and may be objectionable to authorities. For a host of reasons, this is not recommended. In fact, most seasoned private investigators only carry a photo ID and their license card. They feel that a badge will only scare away information, make them the object of criminal hatred and revenge, or land them in jail for impersonating a law enforcement officer. Please be polite and professional and don't expose your gun, period, especially to an attacker who will first disarm you. The arrival of police after a firearms incident can be tense until they have identified the good guys. Any calls made to 911 should describe who you are, what you look like, and where you are. If your weapon can be holstered when they arrive just keep calm, and with both empty hands visible, immediately follow their instructions to the letter, moving slowly. Anything in you hand, cell phone or ID or spare magazine, could be mistaken for a weapon. Never reach into your pocket. Verbalize you are the victim, he is the perpetrator, you have a permit to carry, and the location of your weapon. Don't say anything else. If police arrive while you are holding your gun, for example pointed at a suspect, maintain concentration on the suspect, do not look at the police, hold your other empty hand high, fingers spread, clearly visible, and follow their instructions to the letter if they haven't already started shooting at you. Better yet, avoid interjecting yourself into any situation which could escalate to the use of deadly force. There have been many cases in which a helpful permit holder or off duty police officer has been shot and killed by uniformed police who believed the good Samaritan was an accomplice of the bad guy. Just as important as identifying your target, you need to identify yourself to law enforcement the instant they see you holding a gun, if not sooner. During a routine traffic stop, acknowledge your intention to stop, find a safe place to stop in a well lit area so you can assure the safety of and positively identify the officer. Turn your dome light on at night. Do not leave your vehicle or make any sudden movements, but keep both hands on the steering wheel with your driver's license, proof of insurance and registration if required, together with your carry permit if you are carrying, all within reach on the dash. Stay calm, polite, and cooperative. Smile and make eye contact with the officer, and say something polite, like "Good evening, Officer," so he knows you are communicating. Answer an officer's simple, opening questions honestly and briefly, but don't chit chat. If you are carrying, let the officer know where your weapon is located before he, she, or a partner gets a glimpse of a gun anywhere in the car. Don't use the word "gun." Let the officer decide how and where the rest of the interview should proceed according to his or her comfort level. Otherwise, their training could make things extremely uncomfortable for you. If you call in an emergency, stay in communication with the dispatch. Let them know who you are, where you are, and what you look like, and where everybody else is. In your home's safe room, you might have a spare set of keys to toss out the window so the police won't have to break your door in. Don't appear at the window with a gun. It's probably better to let the police dog do the searching. Imagine what might happen if you hear a noise in the night at home, call 911, and are sneaking around the house with a gun in your hand as police arrive. After a defensive shooting, call 911 to say only that someone has been shot, you don't know their condition, and send help right away. Give the location and your description clearly. Verify the 911 operator has the correct location, then hang up. The call is recorded, so you don't want to say anything else. Secure the scene and have any witnesses call 911, too. When police arrive, do not say anything about your own actions, thoughts, or condition. You might say "Thank God you're here officer, I'm the one who called." You may answer questions or point out facts that relate to public safety and any witnesses, as long as they don't apply to you or what you did. Before you use the lawyer word, you might want to indicate that it's been an emotionally traumatic situation, and to be perfectly accurate, you need a couple of sleep cycles before you answer any questions or make a statement. If the authorities continue to try to question you, then tell the police that, upon the advice of your attorney, you can't answer any other questions until he is present. Keep your tape loops simple, because your lawyer will want to know everything you said. If you confer with your lawyer in a police station or interrogation room, ask that all recording devises be turned off. It is also recommended that you do not reply directly to the questioning officer, but whisper your reply to your attorney for him to relay. Wouldn't this look great next to your Hi-Point? It'll be exhibit "A" at your court appearance. If you absolutely, positively have to have one of these, I'll send it with a leather badge holder as your free gift when you make a donation to gunthorp.com of $500 or more. "BUST CARD" for a "worst case" scenario. but do not show it to police. You will hear many advise you to get a lawyer ASAP. You and your attorney should be familiar with the self-defense statutes of your state. Here are some important points that need to be addressed in front of a jury. Remember, no matter what advice you get or read about, it is your liberty, not theirs, at stake. In conversations with one of my friends who is a county criminal prosecuter (ADA), I believe we need to look at the aftermath through the eyes of the police and prosecutor. Unless there are politics or some history involved, they will want to get the facts right away, so they can file the report and be done with it. Besides NRA insurance that will pay for legal representation for a justifiable self defense, the Armed Citizen’s Network cited below will pay $10,000 at the onset to get the ball rolling. Homeowner’s insurance may cover the costs of a civil liability, if you can find it in your policy. Ask your agent. The police may not write down your exact words in their report, so repeat very short, simple facts over and over. "He attacked me. I was in fear of my life, and I'm too shook up to talk right now." "Officer, I'm the one who called, thank GOD you are here...he dropped a knife over that way and you want to talk to the guy in the red leather mini skirt & high heels because he saw the whole thing. I'll help all I can, but I need time to calm down..."
"He tried to kill me. I couldn't get away." Make up your own tape loops so you don’t say anything else unless or until your lawyer is present. But you probably should say something to get started on the right foot with the police. They’re going to profile you, the way you talk, the way you dress, and compare it with the way the bad guy looks and all his lies. 2. If you know of anyone who was injured, what is his or her location? 3. In what direction did you fire your weapon(s)? Answer: "I don't know." 4. If any suspects are at large, what are their descriptions? 5. What was their direction of travel? 6. How long ago did they flee? 7. For what crimes are they wanted? Answer: "I don't know." 8. With what weapons are they armed? 9. Does any evidence need to be preserved? 10. Where is it located? 11. Did you observe any witness(es)? It makes common sense that an innocent person should feel no need for legal defense after a good shoot, as long as nothing but the essential truth is expressed repeatedly in the simplest of terms to the first LEO on scene. Certainly cops will recognize a reasonable request to have time to collect oneself before making a detailed and accurate statement later. Use short declarative sentences, and repeat them, because, later, an attorney will want to know exactly what was said to the police and will know how to help properly word the future statement honestly. The only time I hear “Maybe I should have a lawyer,” is on “Law and Order” when the bad guy is confronted with undeniable evidence of his culpability. Do you want the cops to think you have something to hide? Nevertheless, you do need to assert your rights, if the police keep asking personal questions. "Officer, on advice from my attorney, I can't speak further without him present." As a criminal defense attorney, I have been representing people charged with gun related criminal offenses for well over twenty years. During that time, I have been lead counsel in several hundred gun related criminal offenses including 1st-degree murder, drive-by shootings, aggravated assault, disorderly conduct, unlawful discharge and many more serious felony level offenses. I have represented people in countless misconduct with weapons and prohibited possessor criminal charges as well. In short, I have represented more people than I could possibly count in serious gun related criminal cases in both state and federal courts. There are few ways a person can get into big trouble more quickly than to misuse a firearm. The decision to keep and bear arms is a serious one. It is also a decision that necessarily comes with great responsibility. All gun owners are required to know and follow the law. As you have heard many times, ignorance of the law is no excuse. Especially in cases involving firearms, you would be well served to study the law, and to think about its application before carrying, or even owning, a firearm. This article is written to offer you some information based on my many years of personal experience representing people charged with gun related crimes. You are not likely to get this information in most firearms classes. If after reading it you become extremely conservative about pulling out your firearm, I have accomplished my purpose. As I often say at the countless legal seminars, I have presented at, “Don’t be an idiot with a gun.” I urge you to be a responsible gun owner and think carefully before you act. Your very freedom could well depend on it. Many people have an urge to explain what happened to the police. Don’t! I wish I could simply ask you to just trust me on this and accept what I’m telling you. Despite what the media likes to report, I realize many shootings are actually justified. I realize many police officers are good people trying to do the right thing. This does not change my mind about remaining silent. That said, if you are anything like me, you need more information. I get it. Another way offering even a detailed, complete and accurate statement can hurt your case, is by trusting the officer to memorialize your statement accurately. Many officers do not record initial statements at the scene. They scribble them down to be incorporated into a formal police report at a later time. I would not want to trust my freedom to the accuracy of even an officer acting in good faith. Honest mistakes occur. I have personally represented clients in serious gun related felony criminal matters where police officers have erroneously written allegedly verbatim statements supposedly uttered by my client at the scene. In cases where a contemporaneous recording was also made, I have been able to prove that the allegedly verbatim statement attributed to my client by the officer in the police report was actually totally wrong. I have represented people in many other cases where my clients have adamantly denied making the statements reflected in the police report. When it is your word against the police officer, you will likely lose. As a final point here, I note that whenever my clients point out an erroneous statement contained in a police report, that statement is never helpful to their case. It seems to me that police officers never incorrectly include statements in police reports that are actually helpful to the defendant. The way to avoid this problem is to simply remain silent. Ok, I’ll say it. Some cops lie. It shouldn’t be a surprise to anyone that there are good and bad people in all groups. I also know there are some police officers who believe only sworn police officers ought to have guns. I have personally spoken to some of these officers. Unless you personally know the police officer offering to take your statement, you have no idea who you are dealing with. Considering you may have decades of prison time hanging in the balance based on what other people believe occurred immediately before your shooting, I recommend you be safe and assume the worst. You probably know nothing about the officer attempting to persuade you to give a statement. I suggest you bite your tongue if necessary. Keep your mouth shut. Although I hope I have convinced you not to offer a statement, I know better. I have had countless repeat clients talk to the police even after I have personally advised them not to do so beforehand. Some people like to talk to the police. It may have something to do with the training officers receive to elicit statements from people they investigate. It may also be our old fashioned but erroneous notions that all police officers are good people trying to do the right thing. I also suspect some people hope to talk the police officer out of possible charges or even an arrest. In shooting cases, it is the county attorney who generally decides whether to bring charges. None of these reasons are valid reasons to talk to the police, and I reject them all. Nobody has the power to make you talk. After 911 has been called, you should immediately prepare for the arrival of the police. At this point, your immediate plan should be not to get shot by the police. I strongly suggest you secure your weapon before the police arrive and make sure nothing you do could possibly be construed as a threat to the police. Make sure the officers can clearly see your empty hands. Exception #2 – Routine traffic stops. Although this article is specifically geared to gun-related matters, the advice to remain silent generally applies to all police investigations of any type. However, if you want to try to talk your way out of a speeding ticket, then you can opt to simply ignore my rule to remain silent. Although I recommend you cheerfully accept your ticket and move on with your life a tad bit less wealthy, feel free to respectfully interact with the officer at the side of the road with the purpose of trying to avoid the ticket and obtain a warning instead. As a tip for this strategy, I have found that most officers really appreciate honesty and remorse after a traffic stop. Although admitting you were speeding will likely foil your chances of beating the ticket in court, it may just earn you a written warning with an old style peace officer. That said, I don’t offer any guarantees on this strategy, and I stand by my general advice to remain silent and move on with your life even during a routine traffic stop. Exception #3 – After a detailed consultation with an experienced attorney. Even in a gun related case, it may ultimately be in your best interest to make a formal statement. However, this can only be determined after spending some quality time with an experienced criminal defense attorney who fully understands the facts and circumstances of the situation. I have on occasion, even in gun cases, issued formal statements either to the prosecutor or to be released publically that have greatly benefitted my client. For example, my client Dr. Peter Steinmetz, who specifically authorized me to discuss his case publically, was arrested after peacefully carrying his AR-15 rifle into the unsecured portion of Sky Harbor Airport in Phoenix. It was his careful rotation of the weapon in order to allow him to sit that ultimately caused his arrest. His case garnered national media attention. As he was facing two counts of felony disorderly conduct with mandatory prison, we strategically called a press conference at which he offered a formal statement about the incident. Countless television, radio, and print media outlets crowded into my law firm to broadcast the statement. We ultimately convinced the prosecutor not to proceed with the case. Additionally, I actually got his AR-15 returned to him. It was a complete and total victory; as well as the right result. Admittedly, issuing a public statement in a gun related case with pending felony criminal charges is rare indeed. However, skilled and experienced criminal defense lawyers tailor their actions to the unique specifics of the case. All cases are different. 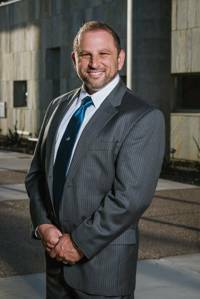 Although I offer general advice in this article, there is no substitute for immediately consulting an experienced criminal defense attorney any time the state threatens to put you in a cage. However, before I answer the hypothetical question, I like to explain that if the random group of strangers called the “jury” determines what you did was “reasonable” under the circumstances, you get to exit the courtroom and buy your criminal defense lawyer a nice dinner somewhere to celebrate. On the other hand, if the jury determines what you did was “unreasonable” under the circumstances you will likely immediately be carted away to live, possibly for many years, in a cage somewhere. Getting people to initially understand that it all boils down to what random people in the community determine to be “reasonable” or “unreasonable” is the main point I like to communicate. Good lawyers always have long detailed initial meetings with their clients to understand the facts of what occurred. However, good lawyers also know from experience that the client’s version of the facts is just that; the client’s version of the facts. In almost all criminal cases, there are other different or even competing versions of the facts. It is always the case that there exists a truth about what actually occurred. However, it is obtaining that truth, and getting other people to accept that truth, that is often the problem. Sometimes people have different perceptions about what occurred. Also, some people lie about what happened. When I start talking to the prosecutor in a criminal case, I always advocate for the best result for my client. This advocating normally focuses on my client’s version of the facts. However, prosecutors routinely disagree with the facts as I present them. They almost always focus on the facts as related by the person identified as the “victim” or people associated with and friendly to the victim. As is always the case, the differing versions of the facts always lead to vastly different potential results for my client. We lawyers almost never argue about the law. If we have a disagreement about how the law applies, we can generally figure it out with a bit of legal research. Although you may invest lots of time learning about and studying the law, it is the facts we generally argue about; not the law. Indeed, this is the purpose of the jury. It is the jury that is charged with getting to the bottom of the facts of what occurred. They are given the law by the judge. In a dispute over the facts, most, if not all, prosecutors will afford the least credibility to the defendant. Remember, it is the defendant in a criminal case who usually has the most to lose and therefore the most invested in a particular version of events. As I stated previously, the person with the shiny badge is usually afforded the most credibility by the prosecutor and the jury. The “victim” of the alleged crime is usually the next most credible to these people. Whenever you think about pulling out your firearm, you need to consider both whether what you are doing will be considered reasonable by a random group of strangers as well as the real possibility that radically different versions of events may be presented to the police, the prosecutor and ultimately your jury. In keeping with the theme of this article, these reasons cut strongly in favor of being very conservative about pulling out your firearm. It used to be the case that sentencing judges had vast discretion in fashioning appropriate sentences based on the particular facts and circumstances of each case. This makes the most sense to me as judges are in a much better position than legislators are to fashion an appropriate sentence in a particular case with unique facts. In our ridiculously over-criminalized society, the trend over the past several decades has been to drastically diminish the judge’s sentencing discretion in favor of more harsh, or even mandatory prison, “one size fits all” style sentences. Mandatory minimum sentences are generally those sentences where prison is required. In Arizona, all crimes involving the discharge, use or threatening exhibition of a firearm are mandatory prison offenses for those who are found guilty. As such, most gun related crimes carry the guarantee of prison time for those who are convicted; even for the first time offender. There is no possibility of probation for those who are found guilty. If you are ever prosecuted for a criminal charge resulting from a gun related incident, the odds are you are not going to trial. Regarding criminal cases generally, the vast majority are resolved with a plea bargain agreement rather than a jury trial. Depending on various factors, most estimates are over 95% of all criminal cases are resolved by plea instead of by jury trial. I strongly suspect the rate of plea-bargaining is even higher in cases involving mandatory minimum prison sentences. In short, because the risk of rolling the dice at trial is so incredibly high, the overwhelming vast majority of people will opt instead for the relative certainty of a plea bargain agreement. This vast majority of people undoubtedly includes people who may have ultimately been acquitted after a jury trial had they risked it. The bottom line here is that the risk of a long mandatory prison sentence upon a conviction often serves to coerce people out of their right to a jury trial. Prosecutors are well aware of this reality. Don’t get me wrong. I enjoy trying cases, and it is generally my personal preference to go to trial. However, given that I don’t have to personally suffer through the prison time if we lose, it isn’t my decision. Some criminal defense attorneys would say that some prosecutors intentionally overcharge cases knowing the risk of trial will simply scare the defendant into accepting a plea offer. I have had many prosecutors cheerfully point out to me that the defendant’s risk of a long prison sentence after a trial far exceeds the substantially lower risk contained in the pending plea offer. It is my experience that people give more thought to decisions they perceive to be very important than they do to routine less serious decisions. I suspect a jury would be much more concerned, and maybe even pay closer attention to the evidence or more rigidly hold the prosecutor to his or her burden of proof, if they knew the 19-year-old kid was guaranteed to go to prison upon conviction rather than get a slap on the wrist with counseling as they may otherwise reasonably conclude. If you are charged with a gun-related crime and plan to go to trial, you need to know the jury won’t be told about the guaranteed prison sentence you will suffer if they find you guilty. Given that self-defense is all about what’s “reasonable,” and that the facts of most criminal cases are almost always hotly contested, and keeping in mind that you will likely be facing a mandatory prison sentence if convicted, avoiding being charged with a gun crime ought to be of the utmost importance to gun owners. I’m sure you can see now why I advise people to be very conservative about pulling out their firearm. That said, there exists extraordinarily rare times when you must. After a miserable ride to the horribly overcrowded jail, you are booked in as the newest member of the highest incarcerated population on Earth. You should expect the judge, who has already read the officer’s version of the case, the same officer who just cuffed and stuffed you, will set a very high bond to be posted in exchange for your release. As is now common, you may even be subjected to a cash only bond; making it much more difficult to actually post the bond and thereby secure your release. You will soon learn who your real friends are as they hopefully scramble to secure your release as well as a good criminal defense attorney. Although you are assured you are absolutely presumed innocent, you truly aren’t feeling it as you choke down the disgusting slop served to you for dinner with your new friends at the jail. Even if you can secure your release from jail, you recall points #2, #3, and #4 above as a lawyer explains the serious felony charges now brought against you. Although I will be happy to zealously defend you against the criminal charges, I try not to work for free. 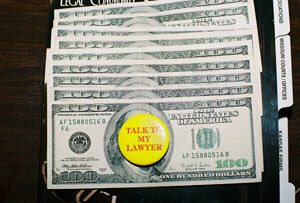 In any event, any payment to any private lawyer is more than you wanted to spend. That said, I want you to envision my exact example when you are thinking about pulling it out. If you are not willing to endure the rigors of being prosecuted as I have described it, my opinion is that the situation you face is not serious enough to warrant pulling out your firearm. Said another way, if what is about to imminently happen if you fail to pull out your firearm is worse than being prosecuted as I have described it, then I advise you to pull it out and act defensively. However, if being prosecuted as I have described it is worse than what happens if you fail to pull it out, I advise you not to pull it out. Example #3 – If you fail to pull out your firearm right now, you will likely be punched in the face. Although this is a tad bit more difficult, I’d prefer to be punched in the face rather than be prosecuted, so I advise not pulling out the firearm. To say I am pro-gun is truly not accurate. I am no more pro-gun than I am pro-hammer. They are both tools. I am pro-peaceful, responsible, competent adult with the option to own and carry guns. I am anti-idiot with guns. If you are short on common sense, you probably aren’t someone who ought to have a gun. If you are hot tempered, quick to anger and act impulsively, I suspect you, and everyone else is better off if you don’t own a gun. Owning a firearm is a serious undertaking. It comes with great responsibility. If you aren’t up to it, don’t own a gun as I suspect you are more likely to get in trouble with the gun than you are to actually need it for self-defense. I suggest you perform an honest self-evaluation before owning a firearm. Secure your firearm carefully in your home at all times. Do not take any chances an unsupervised minor could get to your gun. You could be charged with the crime of felony child endangerment if you accidentally leave your gun sitting around while kids are present. Although the law in Arizona does not require you to retreat, you should retreat if you can do so safely without risk to you or a loved one. Things can be replaced. People can’t. The good guys don’t always win. I strongly advise you to de-escalate a situation and even retreat if necessary to avoid a conflict. No, you don’t get to shoot someone just because that person is trespassing in your home. Although I admit a shooting may be more likely to be justified because it occurs in your home, your actions must still be reasonable under the circumstances. Although there are indeed times when it is necessary, don’t be in a hurry or too enthusiastic about shooting another human being. As I said at the beginning, I do not intend this article to act as a substitute for carefully studying the law relating to firearms. However, I do intend this article to serve as a framework for better understanding the application of those laws in our criminal justice system. I hope you will be conservative about pulling out your firearm, and do so only in extreme and very serious circumstances. You would also be well served to actually become and stay familiar and competent with whatever firearm you choose. Having a firearm is close to worthless unless you can competently use it if necessary. There are countless people who regularly carry firearms safely and responsibly. Most of them will never have any problems at all relating to those firearms. Carrying a firearm ought to be boring. You should be comfortable with the fact that you will never likely have to pull it out. Like flood insurance, we hope to never need it. However, it is important to have in the event you actually need to use it. If you are carrying a firearm because you want some action, or you are constantly looking for reasons to pull it out, I suspect you will need my services someday. As I previously said, there are few ways to ruin the rest of your life more quickly than by misusing a firearm. I have seen it time and time again. I hope you will learn from the mistakes of others currently sitting in prison serving long sentences. Don’t be an idiot with a gun! When involved in a lethal-force incident, where you fired shots, otherwise attempted to apply deadly force, or even brandished a gun without firing, you'll likely be confronted by police a short time later. They're just doing their job, but you need to be the one to look after your own best interests. In light of the recent "Salinas Case" ruling by the US Supreme Court, my advice to students in this regard has changed only slightly. In any event, it bears reiterating. Simply "remaining silent" is not sufficient, by itself, to assure your rights and best interests are preserved. Interesting that we live in a country where you have to speak, in order to assert your right not to speak! And, once one stops answering police questions and demands that his lawyer be present before continuing, he shouldn't start up again prior to his lawyer arriving. When he does, we get into an ambiguous situation, where the prosecution can later claim that, having asserted the right to remain silent at one point, the defendant subsequently changed his mind, thus, in effect, waiving his rights. In addition, one should not wait until he is arrested to invoke his rights. Any time you are party to a police investigation, certainly when you are "Mirandized," your rights need to be unmistakably, unilaterally invoked, and without delay! Invocation of your 5th Amendment rights to decline to answer questions and have your lawyer personally present before questioning resumes must be unconditional and unambiguous. "Do you think I should have an attorney?" won't suffice! No need to be snotty, but you must be clear, and you must mean it! Confusion and ambiguity are always the enemy! Slam the door shut with a clear, unequivocal statement that you wish to exercise your 5th Amendment rights, now. Don't ask them what they think! Insisting that police call an ambulance for you that will take you to a hospital may also be a good strategy. Most will agree that going to a hospital to be checked-over is probably good advice for anyone who has been involved in a lethal-force incident. 1) "Officers, thank God you're here!" 2) "I'm the one who called." (b) tried to murder us. (c) We were in fear for our lives"
4) "I will sign a complaint." 5 "I'm happy to chat with you when my lawyer is present. I absolutely request my attorney, and I am respectfully invoking my 5th Amendment Rights to decline to answer any questions until he is personally present, sir." Always be polite and non-threatening, but take a deep breath and speak clearly. Don't mumble and don't become chatty. Finally, when you are "Mirandized," the officer will probably ask you, "Do you understand your rights, as I've explained them to you?" The best answer is, "Officers, I'm not answering that question, nor any other, until my lawyer is here, nor will I sign, nor initial, any document." We could go on for many more pages, but the foregoing pretty much sums it up. You must protect yourself, as no one else will! "After victory, tighten the straps on your helmet." Arriving police need to know the very basics of what happened, and you are the victim. But after that, and the questioning begins, knowing when to stop talking is paramount. Here are some forum discussions on the topic. Use your common sense when reading. At some point, don't talk to cops - even if you are innocent - this is a must see.video.. The most dangerous and damaging single thing one can do in the wake of a lethal confrontation, the one act that fatally damages most claims of legitimate self-defense? Answering questions asked by police investigators, at the scene, without first insisting on having your attorney present. Even seemingly innocent-sounding statements like, "I didn't mean to....", "It was an accident.....", "This is terrible....", and "I can't believe I did that...." are, in fact, monstrously incriminating. Attorneys tell me that the strongest part of the prosecutor's case is almost always directly founded upon indiscreet statements made, at the scene, by the accused, to police. On the other hand, saying nothing to police carries risks also. When those on one side of the incident talk freely to the police, and those on the other side say nothing, talkers automatically go into the "victim" column on the investigator's notebook, while the silent go into the "perpetrator" column. Those assigned distinctions tend to be permanent and will color the investigation from that point forward. The best compromise is to have your well-rehearsed tape loops ready to go. Tape loops need to be emphatic and unmistakable, but neither rude nor insulting: "Officers, I want to cooperate, but I want my attorney here first" , "I'll be happy to answer all your questions just as soon as my attorney is here." At that point, police are obligated to stop questioning you. However, they may say something to you like, "You can go the 'lawyer-route' if you want, but it won't do you any good. ", "You better start answering questions now, while you still have the chance. ", "All we want to do is just clear this up. ", "You'll feel much better after you talk with us." or, "We only have a few questions, strictly routine..."
What they are trying to do is persuade you to definitively rescind your demand that you have a lawyer to represent you during questioning. Once you say, "Okay, I'll talk with you," they will assume, correctly, that you've changed your mind and no longer want a lawyer. Don't do it! Continue to remind investigators that you still want a lawyer and continue to politely decline to answer questions. So, when first confronting arriving police officers, (1) assume a non-threatening posture, with both palms turned outward and clearly visible. Make sure no guns or other weapons are visible. (2) Get into the "victim" column" right away with, "Officers, thank God you're here!" Then (3) identify yourself by saying, "I'm the one who called." VCAs don't call the police very often! When asked what happened, say: "That man tried to murder us," pointing in the direction of the perpetrator. Then comes (4) "I'll be happy to answer all your questions just as soon as my attorney is here." Beyond that, shut your mouth. Don't sign anything and don't "consent" to anything. If arrested, submit peacefully and without comment. When asked if you understand your rights, say "No." When asked what you don't understand, say, "I don't understand any of it." Tape loops need to be practiced every time we go to the range. None of the foregoing may seem important, until the unthinkable happens. Then, I promise you, the nightmare will begin, made all that much worse when you don't know your lines! When you are a witness and nothing more, answer questions posed by police, but don't volunteer information, particularly about yourself, and don't answer questions that weren't asked. The moment you become a "suspect," politely indicate you want to talk with your lawyer and then immediately stop answering questions, ending the conversation completely. When asked, "are you okay," and you believe you are, always answer, "I don't know." Never say you are okay, even when you have no reason to think you are anything else. "One is well-advised to quickly and discretely retreat in the face of dangerous threats, assuming retreat can be accomplished in relative safety. There are many practical advantages to extracting oneself from threatening situations. One is that no court has ever sent anyone to prison for retreating! From the standpoint of defending, in criminal court, the actions of my client, putting forth the tedious argument that he was legally entitled to majestically defend his position with gunfire, never giving an inch, is far from my favorite approach. I've been in this business a long time, and I promise you that wearisome, hair-splitting pedants do not successful trial-lawyers make! However, even when some sort of 'retreat' is required by law, but doing so will likely get you killed or seriously injured, then you're just going to have to deal with the situation as best you can, worrying about legal ramifications later. No law, anywhere that I know of, requires one to retreat, when doing so puts him, and/or other innocent parties, in peril. (10) Exercise your right to remain silent." Comment: In addition, understand that whatever you do, chose not to do, or fail to do, it won't be perfect! Everyone, from media commentators, to investigators, to judges, to lawyers, to plaintiff's experts will wearisomely point out where, and how, you could have done it better. And, to one degree or another, they'll be right! Fortunately, the law doesn't require you to be perfect. The law only requires you to be "reasonable," whatever that means! The NRA offers legal fee insurance in a criminal defense for reasonable rates. Select a good trial lawyer specializing in the laws of self-defense who will be available to take your call, perhaps at night. Here is another resource that may help. Your homeowner's insurance may cover the expense of a civil liability, if you can find it in your policy. Ask your Agent. "Stay away, SIR. Keep your distance, PLEASE!" "SIR, keep your HANDS OUT!" There is a legend of a Texas sheriff who telegraphed the Texas Rangers for help with a riot. He found his rescue was only a single Ranger. He asked why only one Ranger had been sent and was told "One riot, One Ranger." Like most such stories, if it isn't true, it should be. Other inmates of the jail will be connoisseurs of the legal abilities of various lawyers. Their opinion may be colored by recent results, which may have been affected by a turn of circumstances. Bail bondsmen are a source of information. However, the recommended lawyer may simply be the attorney who collects his bad debts. Any phone book will devote a substantial number of pages to lawyers. It is possible to select one by calling the first listing, and profitable to the firm of Aaron, Aaron and Aaron, but not practical. The Aaron's may confine their practice to estates and trust law, personal injury law, or endangered species law, and no matter how endangered one might feel, they would not help. Advertisements help to narrow the field. A U.S. Supreme Court Justice once said that he would never hire an attorney who advertises. This justice was never in the position of making a frantic call from jail, and when he practiced law would be more likely to meet prospective clients at his Club than the jail. Legal ethics limit the amount of information advertisements can contain, which is further limited by extortionate fees for larger ads. (2) Advertising makes it possible to determine which lawyers practice criminal law, in what states, and if they take credit cards. State Bar Associations are closed shops; in order to practice law in a state an attorney must be a member of the State Bar Association or have local counsel who is a member. In any given location three separate jurisdictions exist: federal, state and local. Each jurisdiction has its own unique rules and practices. In the nature of these things, some attorneys are more experienced in one jurisdiction than the others. Local Bar Associations can suggest lawyers in specific fields. Clients often reject lawyers in their own area in the belief that they are hopelessly corrupt. These people go to great pains and expense to get a lawyer from elsewhere. It is not clear why they think lawyers from elsewhere are different. It is said that a good lawyer knows the law, but a great lawyer knows the judge. There is something to be said for this saying. A lawyer who knows the judge knows how he will react to evidence or argument. A judge who knows an attorney is more likely to believe him. This is not a conspiracy it is human nature. Attorneys want to get paid up front. Once an attorney enters his appearance in a case, he is stuck with it. Taking payments may not be possible. Every attorney has stories of clients who stopped paying, leaving them suffering indentured servitude. In 1924, in a real "Trial of the Century," Clarrence Darrow took the case of Leopold and Lobe without a retainer. He made new law in saving the spawn of obscenely wealthy families from a well-deserved execution. He was also stiffed for his fee. Many law firms take credit cards, as do bail bondsmen. Few people can meet unbudgeted expenses in the thousands or tens of thousands of dollars in the course of an evening. When the banks are open, it is possible for Grandma to tap her life savings, negotiate a second mortgage on the house, or a title loan on the car. The NRA's Civil Rights Legal Defense Fund provides funding, but only in cases of general significance, and only after its Board votes. (3) All these resources take time. Nothing beats a credit card for immediate payment; the ultimate cost may be less than a stay in jail. Keeping a couple of unused credit cards, one for bond and the other for lawyers could come in handy. It is also possible to hire an attorney by assigning the bail bond. However; this is only possible when the defendant pays the entire bond himself. Three different jurisdictions have their courthouses in a two block radius of Kansas City Missouri. The amount of bond and legal fees will vary with the severity of the case. When there is blood on the ground or a constitutional principle at stake the client has a "55 Gallon Drum" problem. This problem is addressed by stuffing $100 bills into a 55-gallon drum, cramming them in as tightly as possible, then wheeling the barrel into my office. (4) Many persons shop around for the lowest price. However, the objective is not a bargain, but freedom. One often gets what one pays for. It does not take much effort to plead a person guilty or go through the motions of a defense; it is therefore less expensive. Some lawyers go for volume, some are expensive. Legal ethics prohibit a guaranteed legal result. (5) If a lawyer offers a guaranteed result, he is likely to violate other legal ethics as well, and this cannot work well for the client. It is therefore not possible to charge one fee for a successful result, and another for a guilty verdict. It is less stressful to find a lawyer in advance of trouble. This is not a matter of finding loopholes, but of learning the rules before engaging in an activity. There are rules for scuba diving, mountain climbing, carrying a gun and self-defense; the wise participant learns them in advance. The person consulted should be an attorney. Some persons espouse "sovereign citizenship" and "common law" theories which allegedly exempt the person from any law of which they disapprove. Apostles of these unlikely superstitions claim legal success. I have been unable to confirm any such victory. I do know of two such individuals who made their situations worse. One turned a speeding ticket into a jail sentence; another turned the chance of a fair trial into a conviction. A lawyer is necessary. A weekend hunter will not find a trophy animal in the wilderness without a guide. A defendant will not find justice in the thickets of the law without an attorney. The National Rifle Association provides a reference list of attorneys, as does the Second Amendment Foundation. (6) These attorneys can be accepted as "gun people," but are not otherwise vetted. Computer search engines may turn up others. Attorney referral services may be found in yellow pages and the internet. These resources may reflect lawyers who have purchased a place on the list more than any qualifications. Local Bar Associations may provide referrals to attorneys in relevant fields. Armed with a selection of lawyers to interview, one must have an idea of the purpose of the interview. The first objective is to convince the lawyer of one's innocence. Criminal defense lawyers usually represent people who are guilty of something. For a criminal a conviction is a cost of doing business, for the survivor of a gunfight, it is a tragedy. It is a completely different mindset to represent an innocent man who cannot afford to lose. Next is to determine what the attorney can do for the client. Bad things usually do not happen during office hours. (7) It must be possible to reach the lawyer at two in the morning, not his voice mail but a human lawyer who can give human advice. The lawyer's retainer will be unknown until a charge is filed, although it will be some function of a 55-gallon drum, and perhaps two. The lawyer's hourly rate will give some indication. For every hour spent on the case, the hourly rate is deducted from the retainer. When the retainer is reduced to zero, bills are sent. Certain expenses become extra bills. Charges for expert witnesses, process servers, and investigators are typical. Some firms also bill for photocopies, faxes, and office staff. (8) General advice the lawyer can give about weapons and self-defense law will be useful in preventing problems. It is also important in helping the client decide if he is willing to entrust his future to the lawyer's decisions. Some lawyers will take a small fee to be on call in the same way that they are registered agents for corporations. This gives the lawyer the advantage of a file to work from with contact information of persons to underwrite bail and perhaps an extra credit card. Criminal defense lawyers keep prosecutors honest, a more difficult project than one gathers from watching "Law and Order." If the worst thing happens, your One best friend in the world will charge by the hour. Kevin L. Jamison is an attorney in the Kansas City Missouri area concentrating in the area of weapons and self-defense. Please send questions to Kevin L. Jamison -- 2614 NE 56th Ter -- Gladstone, Missouri 64119-2311 -- KLJamisonLaw@earthlink.net. Individual answers are not usually possible but may be addressed in future columns. This information is for legal information purposes and does not constitute legal advice. For specific questions you should consult a qualified attorney. (1) One is tempted to suggest a near-sighted and unshaven lawyer in Gladstone, Missouri, but the advice here is more general. (2) Legal ethics exist for Good and Sound reasons and are followed by members of the Bar. No smirking will be tolerated. (4) The problem will then be addressed, I did not say solved. (5) I don't mind the lawyer jokes; I raise my fees whenever I hear them. (6) See www.nra.org or www.saf.org. (7) I was once called at two in the afternoon to assist an acquaintance who had "just killed" someone. I arrived before the detectives, which they found disturbing, but it worked out. This timing is unique. (8) I find such billing to be an accounting burden, other firms delight in it. After the defensive incident, you will make a statement and be interviewed with your lawyer present. From "Force Science News" here are some tips that are suggested to police officers in the same situation. 1. Request a delay. As explained in Part 1, fatigue can contribute significantly to memory "failures," including incomplete and disorganized recall, inconsistencies, delayed recollections, and the inability to adequately articulate your thoughts. "If you're tired and overly stressed, you'll also be more susceptible to suggestion, intimidation, and biased questioning by the interviewer, Geiselman says. "Yet many departments still require that officers submit to detailed questioning immediately after a shooting or other critical incident, even though in some cases the involved officer has been awake for 36 hours or more." In contrast, the Force Science Institute recommends a delay of 24-48 hours, including at least one good sleep cycle, before a detailed statement is required from an involved officer after a major force event. "If you believe that you are not in a frame of mind to perform adequately in a full investigative interview because of lingering stress and/or sleep deprivation, request a delay," Geiselman counsels. "Don't ignore or minimize your mental and physiological state in an effort to appear strong in the face of potentially negative factors. "If the request is denied because of department policy, you can then state at the outset of the questioning that you have asked for a postponement and why. Having that in the record may prove valuable later in helping to explain shortcomings in your memory." 2. "Interview" yourself, using cognitive techniques. "Become familiar with the memory-enhancement elements of cognitive-style interviewing and use them to help recollect what happened during the force incident," Geiselman suggests. "You can 'interrogate' your own memory both before and during the interview itself." Some of these techniques were described in Part 1. They include a full-sensory reconstruction of the circumstances surrounding the incident...thinking about it in detail "frame by frame"...trying to remember what happened in reverse order as well as forward order...looking at the scenario from the different perspectives of people at the scene, etc. "All these can often surface details that may elude you if you try just to verbally recite the bare basics of what you think happened in sequence," Geiselman says. "It's good to start by getting a picture in your head of what was going on before the incident erupted. Mentally and emotionally put yourself back there in the moment. Slow down your thinking and take time to remember as much about the experience as you can. Concentrate on being as complete as possible, rather than just hitting highlights. "Ideally, you want to give as thorough a report as possible in your the first session with an interviewer so you don't have to make corrections later, and this approach can help." 3. Communicate your concentration. "Let the interviewer know when you are taking time to concentrate on responding to his or her questions," Geiselman advises. "This will free you from feeling pressure to give immediate answers in order to appear truthful. "Sometimes memories are difficult to retrieve, and the mannerisms and body language of concentration, such as long pauses, deep breaths, and breaking eye contact, may look like the classic indications of deception if the interviewer doesn't realize you are focusing intently on recollecting. "If you consciously struggle to avoid these natural reactions to deep concentration in order to maintain an artificial appearance of truthfulness, you're devoting your energy to the wrong priority and you may be bypassing opportunities to surface important buried memories." 4. Take the initiative to make the record complete. "Be sure to address critical issues in your statement if the interviewer fails to do so," Geiselman says. "Your initial feeling may be to shut down and say little beyond what you're asked, but in some cases it maybe to your advantage to get information that's neglected into the record. "In particular, comment spontaneously on your state of mind throughout the incident. This would include your understanding of any advance information you were given by dispatch or other sources. "Also comment on your threat assessment throughout the encounter. Include elements of your training and experience which were triggered in your mind by the circumstances as they unfolded." 5. Above all: Don't speculate. "Understand the strengths and weaknesses of your own perceptual and memory systems," Geiselman urges. "Inevitably there will be aspects of the event that you didn't see or hear, and your memory will be imperfect. No one can remember everything or recall all that they do 'remember' accurately. That's a human reality. "Don't hesitate to state, 'I don't know,' and then maintain that you do not know throughout the interview if that is the truth. However, it's important to spontaneously correct inconsistencies and offer additional recollections as they come to mind without delay. The sooner errors are corrected or missing elements legitimately supplied, the less likely these alterations will be viewed with suspicion. "Above all, do not speculate, guess, or fill in gaps of memory with what you think 'might' or 'must' have happened, even if pressed implicitly or openly by the interviewer to do so. This is quicksand too dangerous to venture into." Here are some other discussions and thoughts about handling a post shoot situation. Flex your rights. Use them or lose them. The idea that talking can get you in trouble is an old one. Here's the short version of a Nigerian folk tale with this theme. The king says: “Never since my mother bore me have I heard that a dead skull can speak.” The king summons the Alkali, the Saba, and the Degi and asks them if they have ever heard the like. None of the wise men has heard the like, and they decide to send guards out with the hunter into the bush to find out if his story is true and, if so, to learn the reason for it. The guards accompany the hunter into the bush with the order to kill him on the spot should he have lied. The guards and the hunter come to the skull. The hunter addresses the skull: “Skull, speak.” The skull is silent. The hunter asks as before: “What brought you here?” The skull does not answer. The whole day long the hunter begs the skull to speak, but it does not answer. In the evening the guards tell the hunter to make the skull speak, and when he cannot, the guards kill the hunter in accordance with the king’s command.